For Wordsworth, the justification of poetic meters had proved a particularly troublesome problem, because, although the natural language of feeling may be broadly rhythmical, the highly regular stress and stanza patterns would seem a matter not of nature, but of artifice and convention. Moreover he was not clear on the question of how a poem as an individual work of literary art differs from other forms of expression. Thus the old problem of the relation of ‘form’ and ‘content’ was still unresolved. In attempting to remedy this defect in Wordsworth’s argument, Coleridge put the philosophical inquiry into the nature and value of poetry on an entirely new footing. In fact Coleridge is the first English critic to base his literary criticism on philosophical principles. Coleridge conducted his argument in an elaborate and ambitiously conceived chain of reasoning which embraced all his general philosophical principles. In the beginning of Chapter XIV is the Coleridge’s attempt of differentiating qualities of poetry and the raison d’être of these different qualities. His philosophy begins by making just distinctions and end by discovering how these distinguished characteristics form a unity among themselves. How does a poem differ from other ways of handling language? What is the point its so differing? How are these points of difference justified by the function and nature of a poem? This is what might be called the ontological approach. And Coleridge uses this ontological approach by defining a poem as a means to an ‘object’, ‘purpose’ or ‘end’. A poem according to Coleridge contains the same elements as a prose composition. Both use words. The difference between a poem and a prose composition cannot then lie in the medium, for each employs the same medium i.e. words. It must therefore “consist in a different combination of them, in consequent of a different object being proposed”. A poem combines words differently, because it is seeking to do something different. Of course, all it may be seeking to do may be to facilitate memory. One may take a piece of prose and cast it into rhymed and metrical form in order to remember it better, as in the following verses on the number of days in the months — “Thirty days hath September/ April, June and November” etc. And as a particular pleasure is found in anticipating the recurrence of sounds and quantities, all compositions that have this charm super added, whatever be their contents may be entitled as poem. But in such cases object proposed – facility to memory is served by the mere addition of meter and rhyme. Their use is not necessitated by anything in the content or matter of the poem. There is no natural relation between the two. Each of scientific and poetic writing has an immediate object and ultimate object. Science has truth and poetic writing has pleasure as its immediate end. Yet science may have some profound pleasure and poetry may have some profound truth as their ultimate objective. But as it is immediate object of poetry to produce pleasure and meter conduces it, poetry prefers it to the language of prose. These conditions are that it should suit the language of content of the poem and not be a mere super addition for ornament’s sake or to facilitate memory. So, from this Coleridge proceeds to make a definition of what he calls “a legitimate poem”. According to him a legitimate poem is the one where each point (content and super added forms) contribute and must support each other to explain each other. This is what refers to Coleridge’s concept of “Organic Unity”. He believes that as a legitimate poem the objective (to produce pleasure) is carried out with the remaining part preserved. 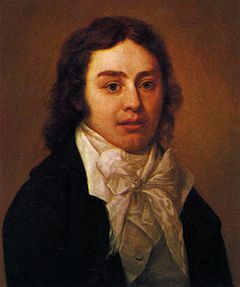 One point to note that unlike Sidney and some of other critics, Coleridge is not discussing about imaginative literature in general, but about poems. Does that mean Coleridge’s view of what is true to poem is not related to other forms of literature? Does Coleridge’s notion is restricted to ‘legitimate poem’ and not to other literature or writing that are different from science or history? The clue to this lies in the distinction he proceeds to make immediately after his definition of a legitimate poem. It is the distinction, he made between a “poem” and “poetry”. But, many critics have been puzzled by the argument Coleridge provides in this distinction. Shaw Cross in his standard edition of Biographia comments “It is doubtful wheather the distinction [between poem and poetry] […] makes for any clearness”. Such comments are made by many , because “Coleridge gives no real justification of the old statement of a poem of any length, neither can be or ought to be all poetry”. Poetry for Coleridge is a wider category than that of a poem, i.e. poetry is a kind of activity which can be engaged in painters or philosophers or scientists and is not confined to those who employ metrical language, or even to those who employ language of any kind. Poetry in this larger sense, brings “the whole soul of man” into activity, with each faculty playing its proper part according to its relative worth and dignity. This takes place whenever the “Secondary imagination” comes into operation. In other words, whenever synthesizing, the integrating powers what Coleridge calls the “Secondary imagination” are at work, bringing all aspects of a subject into a complex unity, then poetry in this larger sense results. Poetry in the narrower sense – that is a poem – may well use the same elements of as a work of poetry in this larger sense , but it differs from the work of poetry in the larger sense by combining its elements in a different objects being proposed. That different object is immediate pleasure. But since a poem is also a poetry, the communication of pleasure may be its end, but not poetry’s whole function. Poem is distinguished from other art (whose communication end is immediate pleasure) due to the fact that it uses language as its medium. (c) Samir K. Dash, 30 April 2010.